A bill to raise reimbursement rates for adult group homes after years of cutbacks swelled waiting lists is set for a public hearing Monday. A bill with bipartisan support that would increase reimbursement rates for agencies that provide group home services for adults with intellectual disabilities is scheduled for a public hearing Monday in Augusta. Reimbursement rates have been slashed under the Baldacci and LePage administrations, and the agencies were targeted for another potential cut before a public outcry last fall. Agency leaders said then that the system was on the verge of collapse, with group homes across the state under threat of closure. During the same time period that the rates were cut – 2008 to 2016 – waiting lists for Section 21 group home services for adults with acute intellectual disabilities ballooned from about 110 people to 1,200 people. Nonprofit leaders say a big part of the reason is the inability to attract and retain employees because of the cuts to MaineCare reimbursement rates. “This workforce crisis is crushing all of us. This bill will give us the ability to retain and attract quality employees,” said Todd Goodwin, president of the Maine Association for Community Service Providers. Goodwin said the waiting lists would be substantially reduced once the reimbursement rates are increased to a reasonable level. The demanding jobs caring for those with severe intellectual disabilities pay only about $10 an hour because of poor reimbursement rates, agency leaders say. 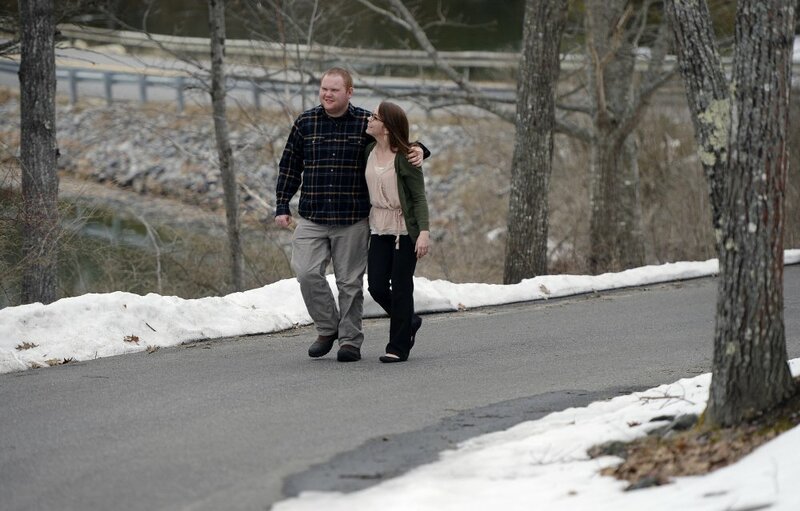 Kelsey Dunn, 28, of Brunswick, works in human resources for the Independence Association, an agency that operates group homes in the Brunswick area. Or, Dunn said, potential employees may be trained but then accept another job before they start. 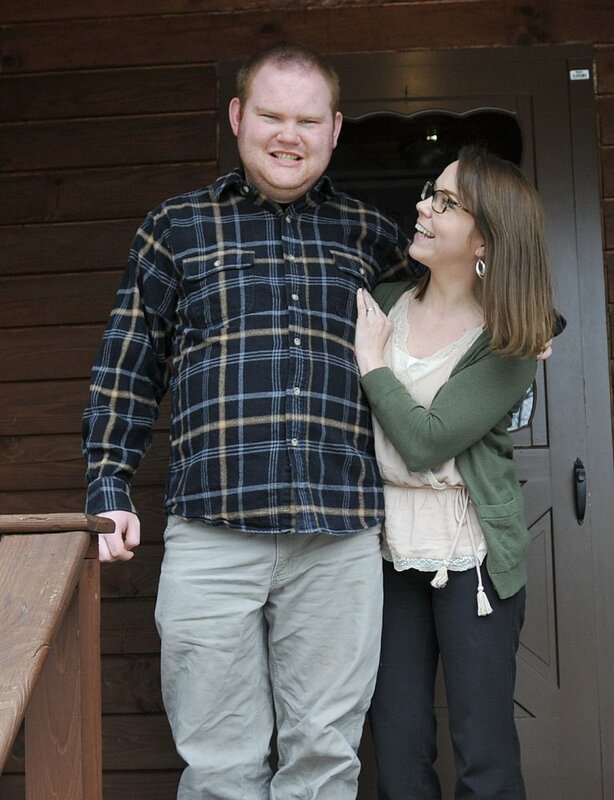 “I’ve seen people walk off the job and never come back,” said Dunn, whose brother Silas Gingrow has intellectual disabilities and receives group home services. The bill would set reimbursement rates at 2007 levels and index them to inflation. The reimbursement rates have been slashed 12 percent since 2007 in real dollars, and when factoring in inflation, represent a 31 percent cutback, according to the Maine Association for Community Service Providers. Dunn said that instead of $10 an hour, caregivers would earn between $13 and $14 an hour as a starting wage if the reimbursement rates increased. She said that would make a big difference in attracting employees. The public hearing is scheduled for 9 a.m. to about noon Monday before the Legislature’s Health and Human Services Committee in Room 209 at the Cross State Office Building. The bill has eight sponsors split evenly among Democrats and Republicans. Rep. Lance Harvell, R-Farmington, said the nonprofits have a compelling point when they say their costs have risen while the reimbursement rate has declined. Harvell said the rates are a form of price control, which doesn’t work. “I will challenge my conservative colleagues to tell me how they know what the price of this service should be,” Harvell said. The Maine Department of Health and Human Services has yet to take a public stance on the bill, but a representative is expected to testify Monday. While the cutbacks to Section 21 have been dramatic and need to be reversed, advocates say, a proposed boost to Section 29 services would be helpful to families. Section 29 provides in-home support for adults with intellectual disabilities, for those with less severe conditions. The state would be doubling the caps on the amount that can be spent per year under MaineCare to $47,500, or roughly 40 hours per week of services. “This will allow family members to work full time and receive appropriate in-home and community services,” said Jennifer Putnam, executive director of The Progress Center nonprofit in Norway. Samantha Edwards, DHHS spokeswoman, said the state is proposing to spend $12.2 million in additional funds over the next two years on Section 29 services. “While this robust proposal will not completely take the place of the more comprehensive Section 21 services, it will help to alleviate the pressure felt by families on the wait list today,” Edwards said in a written statement. Families applying for Section 21 services can receive Section 29 services while they’re on the Section 21 waiting list.